© 2018 Studio Arcana co.,Ltd. Hi, I’m Hikaru! I’m a software engineer. I’m going to give you a brief report of HackDay2017. 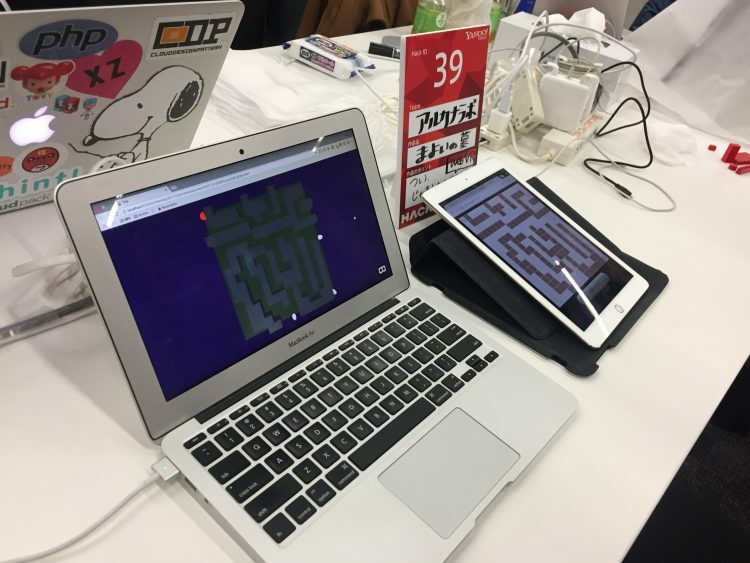 It was third time for us to participate in this event and this time round we created a web VR game “The Graveyard Maze”. >Check this entry for technical details of the “The Graveyard Maze” here. 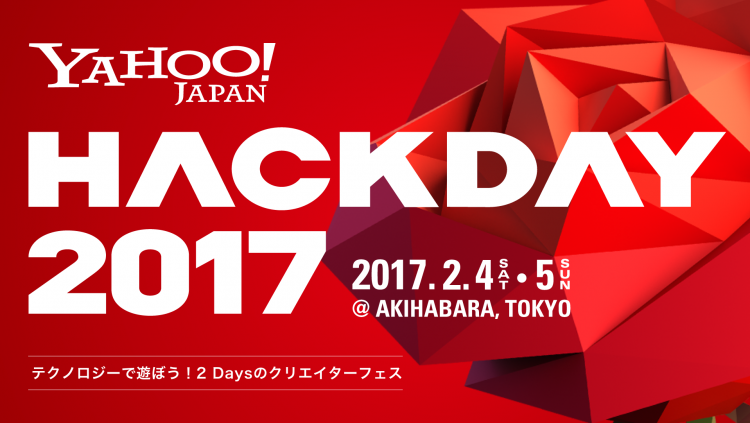 HackDay is one of the biggest hackathon events in Japan. It lasts 24 hours and there is no specific theme so basically you can create whatever you want. After the development we have presentations of the works and awarding ceremony, so you need to stay awake for almost 2 days. That’s pretty tough, isn’t it? I heard that this time there were some small recreations for audiences, such as riddle or kendama. 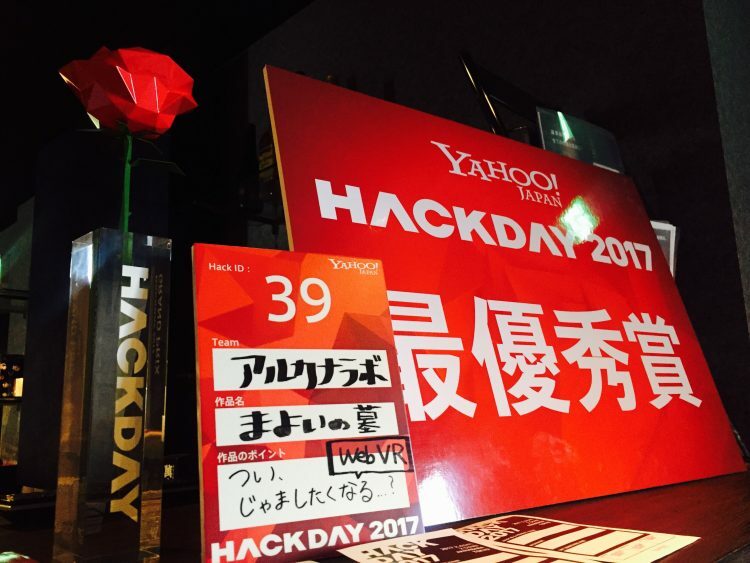 As I wrote earlier, it was our third time to join the Yahoo JAPAN’s HackDay. 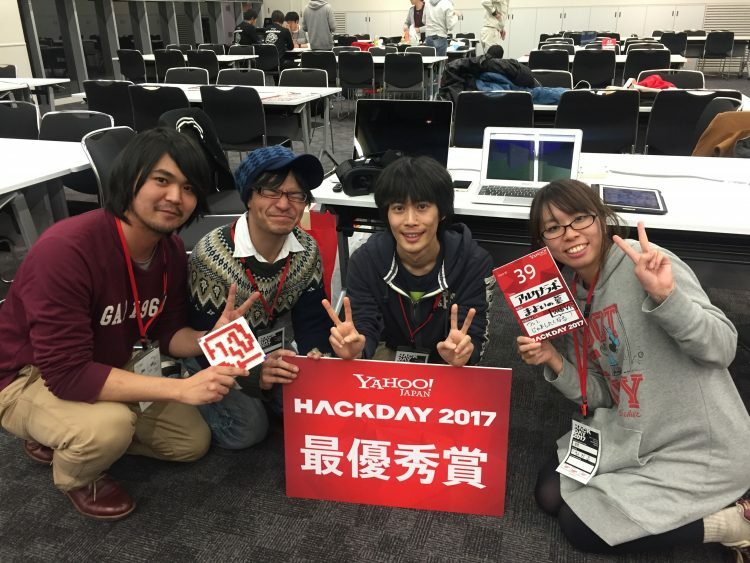 Here are the reports of Hackday2015 and 2016. In 2015 we created omnidirectional video interface “FAI”, and in 2016 we made a monitoring system “Chikuru-chan” which alerts when it finds someone dozing off. Since the work we made last year was too playful, I wanted to make something more serious stuff like we did in 2015. 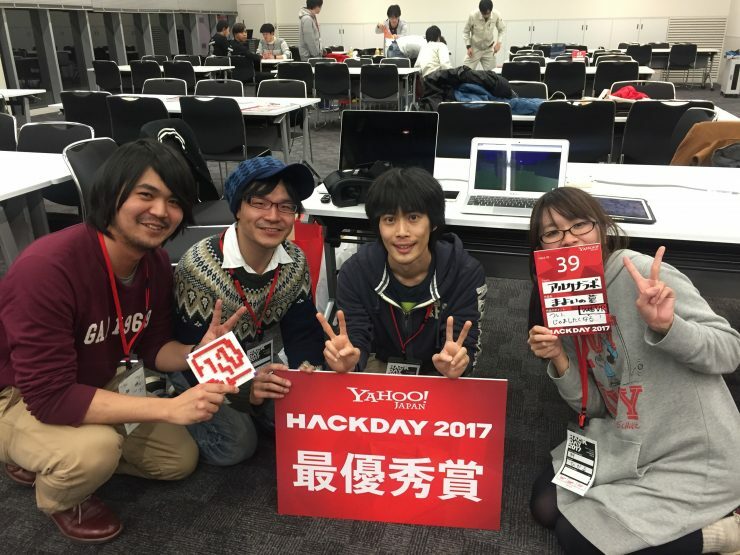 I recruited perfect members for it and signed up for HackDay2017. Before taking a look at our work, I’ll introduce the members. All of us are programmers, but I didn’t code this time. 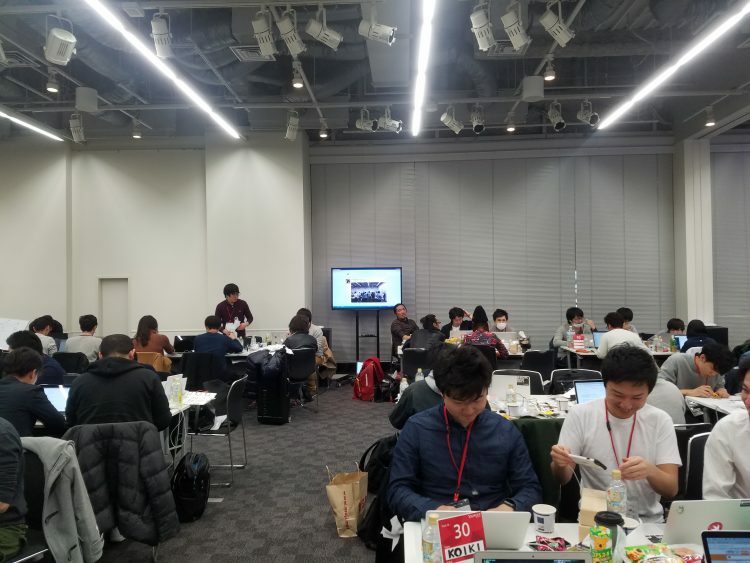 I concentrated on peripheral tasks, such as handicraft and making slides for the presentation while other members were coding. 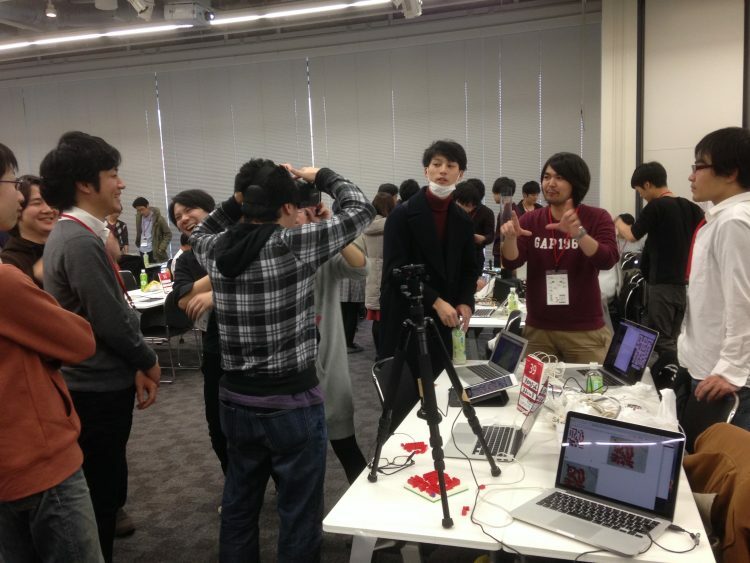 And it was first time for Endo-kun to participate in this event! Next, let’s take a look at our planning phase. First we had a casual kickoff meeting at a bar and discussed what we were going to make. The only thing that I remember is me shouting “I wanna do VR! I wanna do VR!” because I drank too much before getting to the details. Anyway we agreed that we would create something using VR technology. And then Yoshida suggested this “The Graveyard Maze” idea. When we heard that idea we all excited and decided to make it happen. This is how we got started on our project, being inspired by kids. We didn’t make really a good start. Unfortunately the members except me caught a bad stomach cold on the day before the Hackday. Poor sick boys somehow made it to the event site and before the event started they made sure where the bathrooms are. 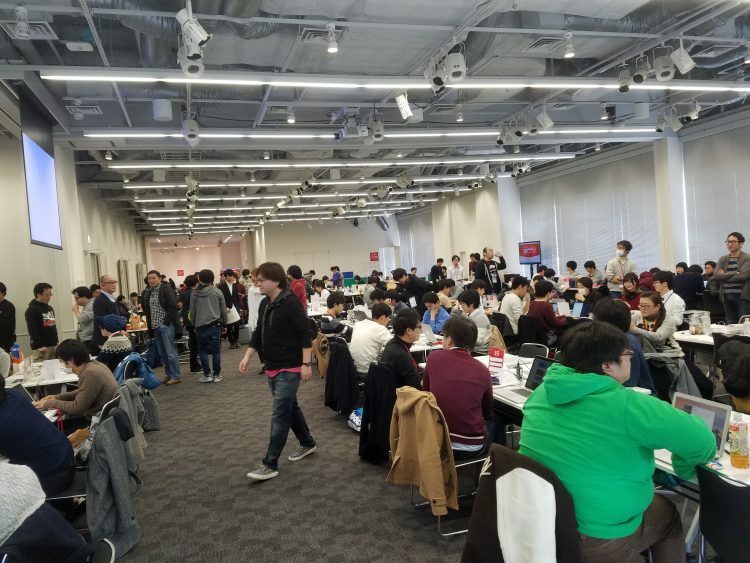 The event venue was wider and more comfortable than last year. Event admin staff were so nice that they gave the participants nice meals and refreshments. 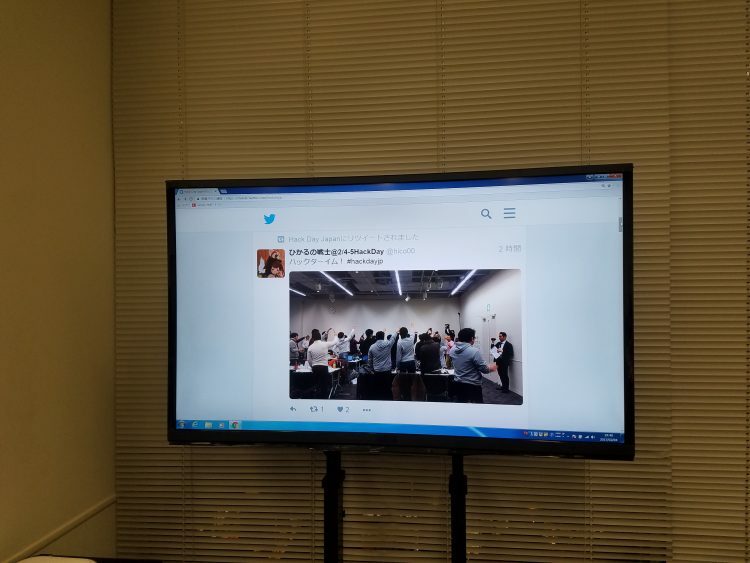 My tweet had been exposed on a screen in the working space for a long time and I felt a little embarassed. My team mates did their best while making frequent trips to the toilet and somehow our work was completed! After the intense development time we moved on to the presentation time. Now here are our team’s presentation movie and the slide we made for the presentation. We made a VR maze game. 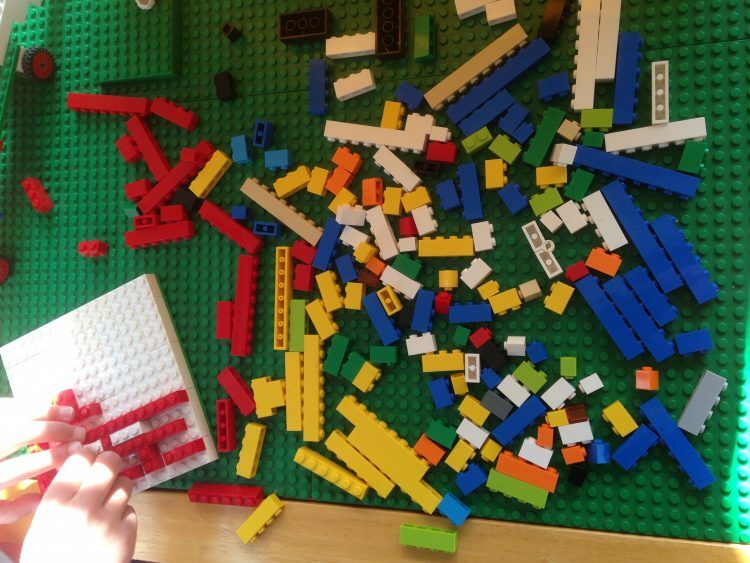 Once a player makes a maze with LEGO blocks, the maze will appear in the VR display and the player can experience the maze in first person view. If the player has friends to play with, they can play pranks on him/her, such as blocking the way or changing the route while the player are trying to get out of it. Make sure where in the maze the venturer is and play a prank on him/her! 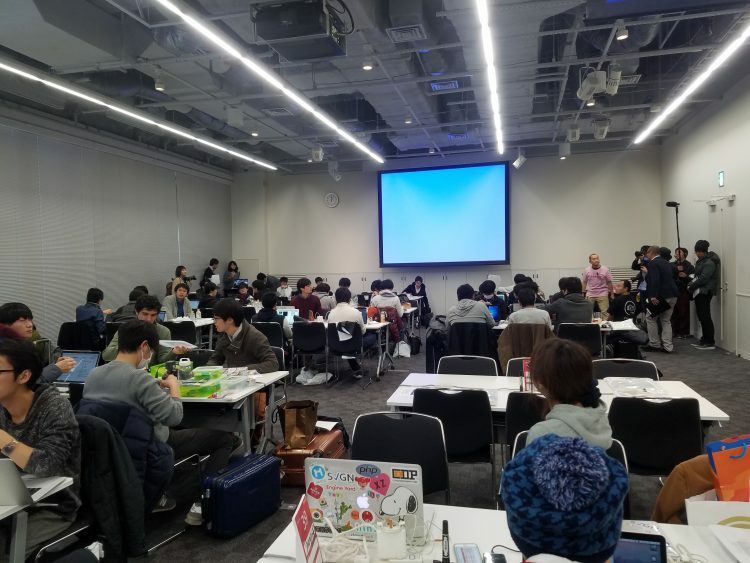 After the development time, all the teams exhibited and demonstrated their work to the visitors while the presentation was going on. Lots of people came to see our work and enjoyed playing. 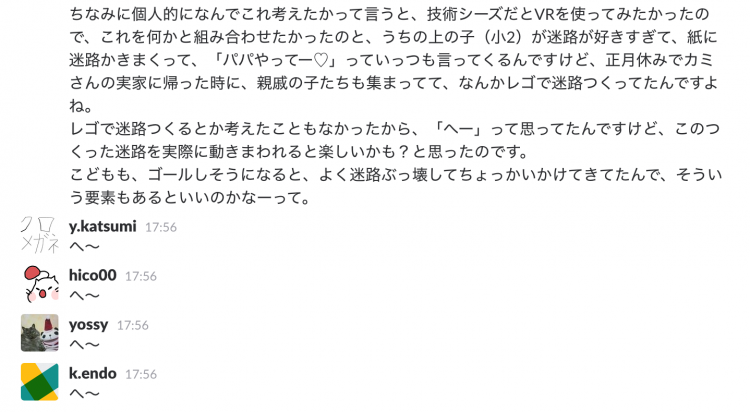 You know, most of the VR games are only for one person to play at a time. 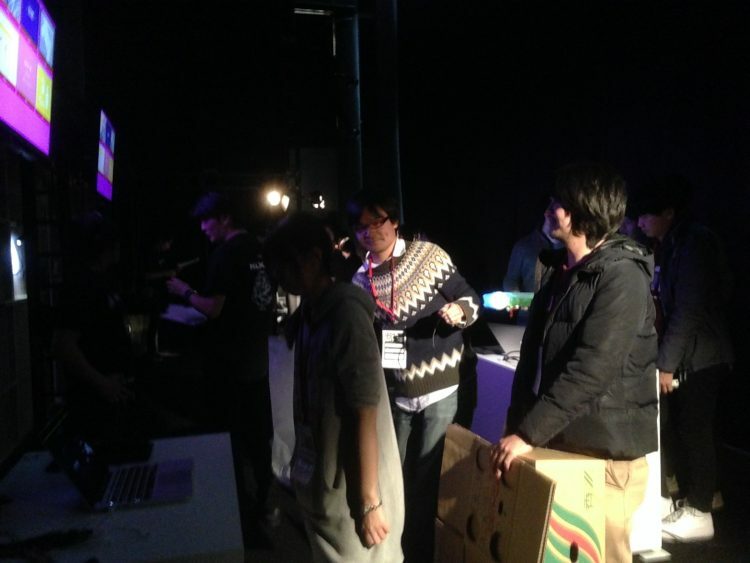 But in our game not only the player but also people who are not wearing HMD can enjoy playing by pulling pranks. 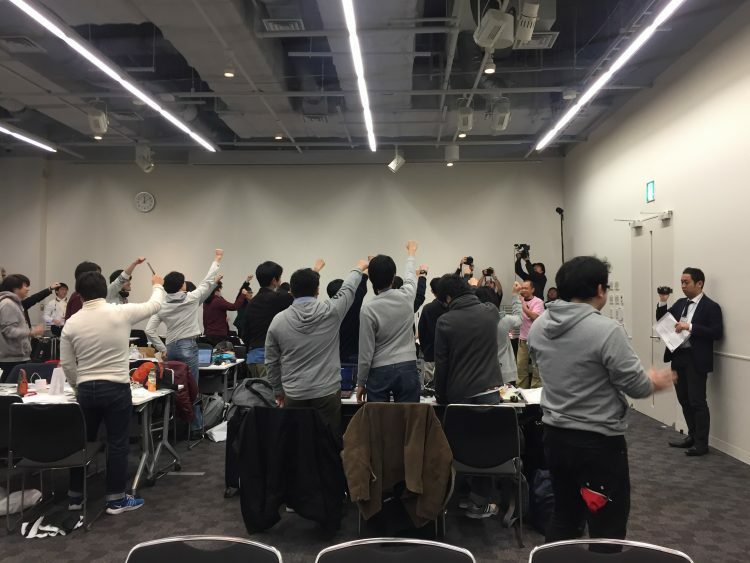 We are so happy to be able to create a game in which mutiple people can play together and share excitement while taking advantage of VR. Although we got good feedbacks in the demonstration, little did we know what we were going to get. No member expected such a big prize. We were just very tired at the moment and talking about how to sneak out of the event when our team name was called out loud. Yes, we got the Grand Prize! Feeling surreal, we were presented with a beautiful polygon rose trophy and Silicon Valley Tour on the stage. We just couldn’t believe what was going on. 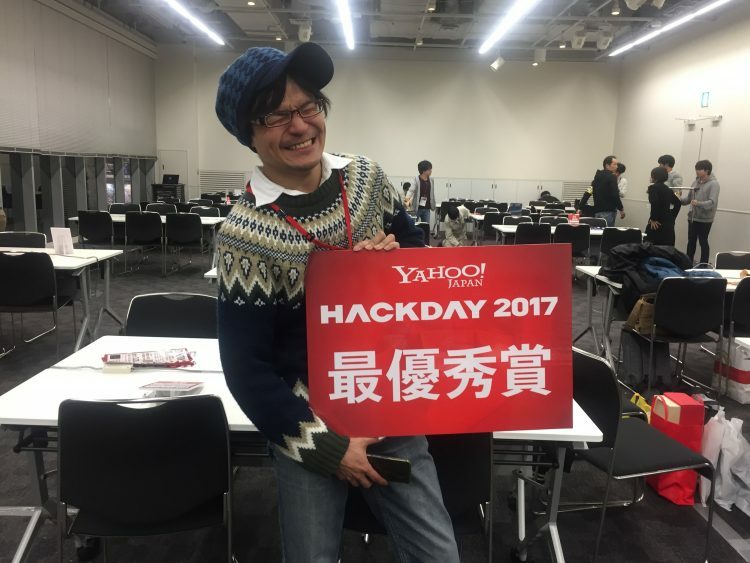 I would like to say good job to all the peer participants and thank you so much to Yahoo!JAPAN Hackday staff for giving us such a great opportunity!!!!! 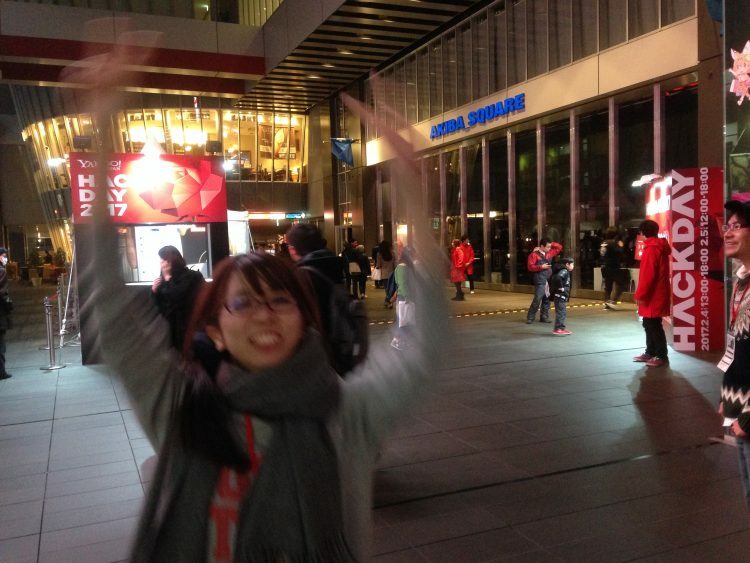 I’ll come back next year!!!!!! © 2019 Studio Arcana co.,Ltd.